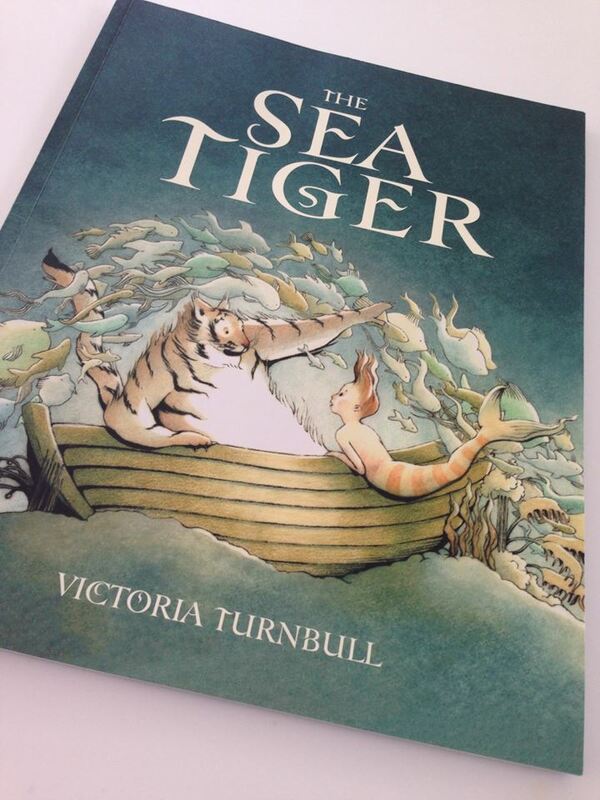 Brought to you by the AOI New Talent award winner, this debut picture book by Victoria Turnbull is utterly exquisite and one not to be missed. 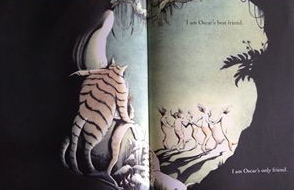 We join this touching tale of companionship as the emerging friendship between Oscar and the Sea Tiger grows quickly, forging an unbreakable bond. It follows them through the trials and tribulations they face together, through to the ultimate sacrifice of going their own separate ways. Turnbull’s choice of colour palette is empathetic to the enchanting story. The muted tones of turquoise and blue offer a tranquil back drop, perfect for this under-the-sea setting and the hues of orange provide the warmth to the illustrations. 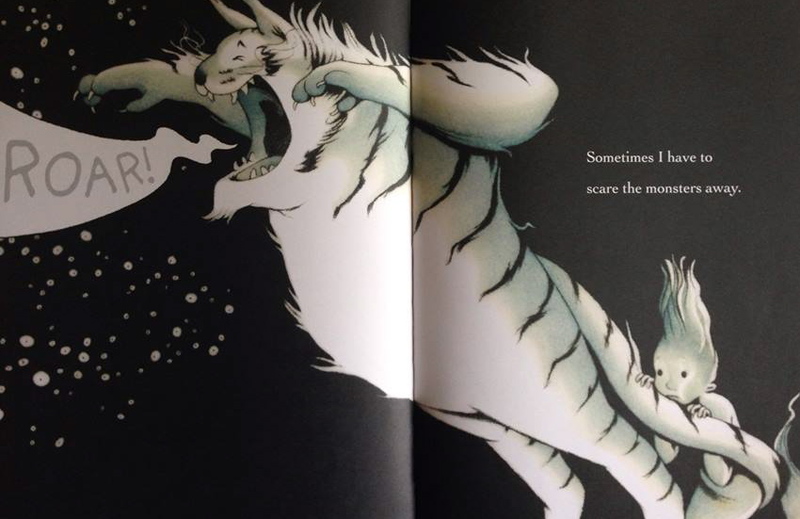 Oscar and the Sea Tiger are inseparable, friends forever, until that is, the boy finds a new friend and the Sea Tiger too. Here, it seems is the natural time to allow them both to move to the next stage in their unwavering partnership and to face the next phase of their lives with new friends. A beautiful story that unfolds before your eyes amidst the serenely dreamy spreads.